— What does climate change look like? Here are the photos: Lost islands in the Chesapeake and dead and dying white pine in Yellowstone. 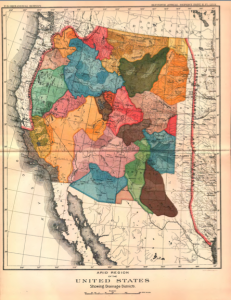 — John Wesley Powell understood the western water rights battleground and had a solution (and a cool map) in 1890. If only… AqueousAdvisors. — Good news and bad news for non-profits like ours. The bad news is that a growing number of Americans don’t give anything at all to charity. The good news is that most Americans still plan to give something this season.